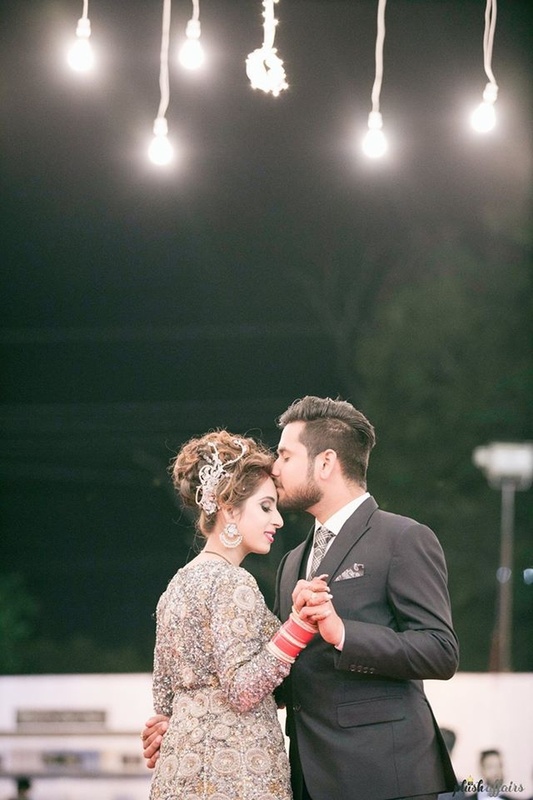 Everything about this wedding was enchanting and left us starry eyed! 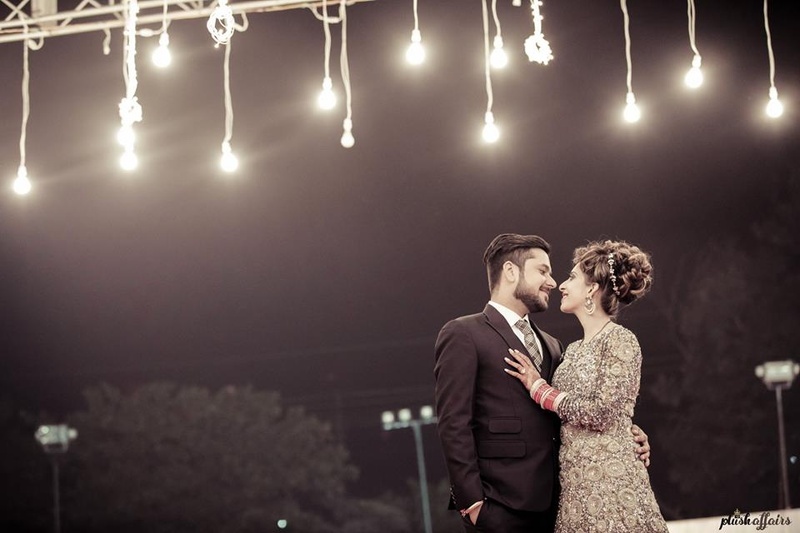 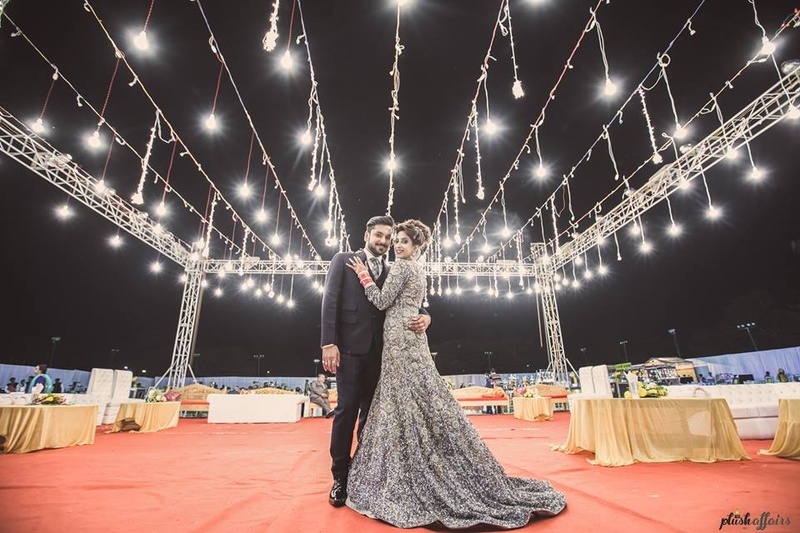 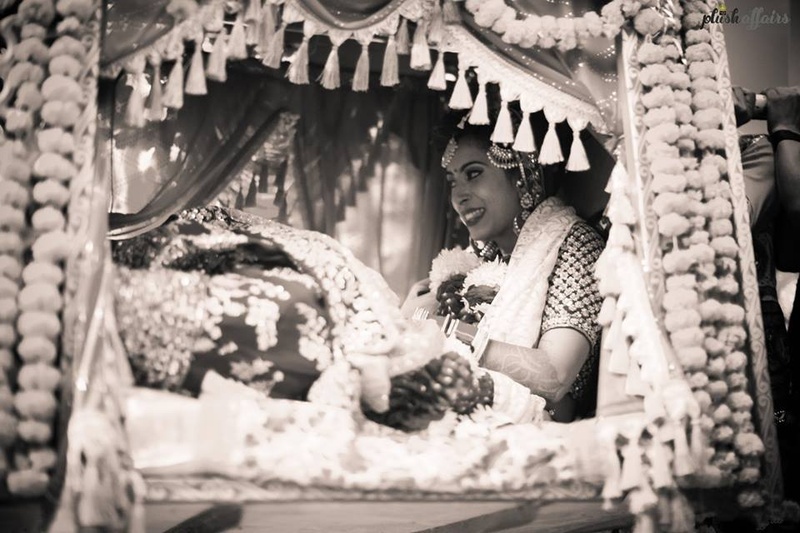 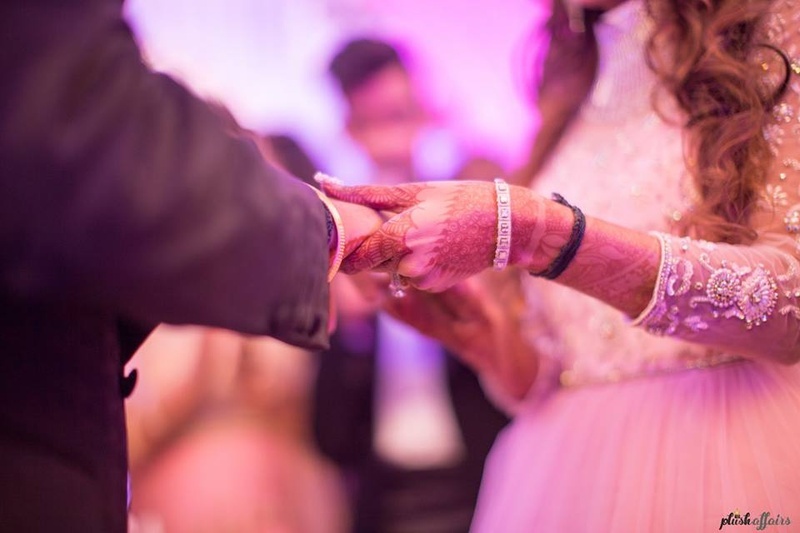 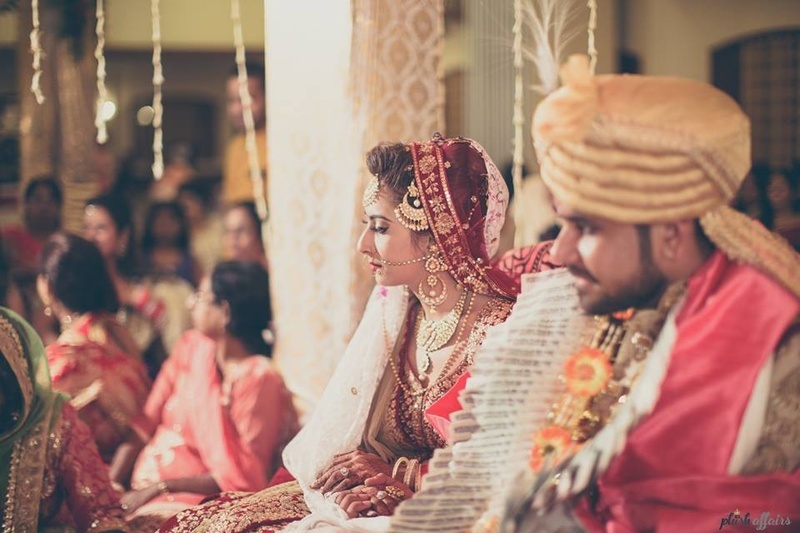 Apoorva and Amit's love story is no less than a fairy tale and their wedding resonates the same! 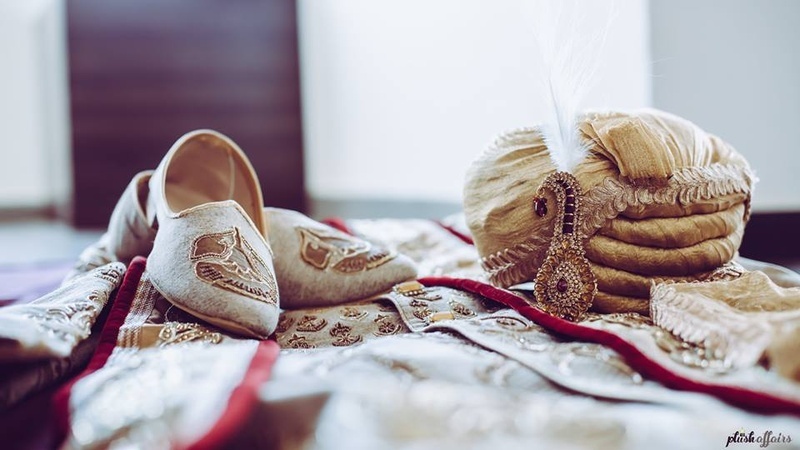 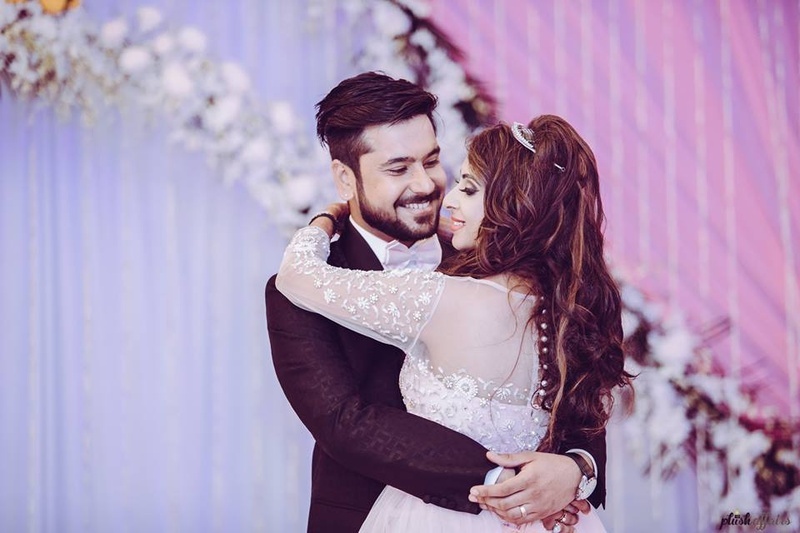 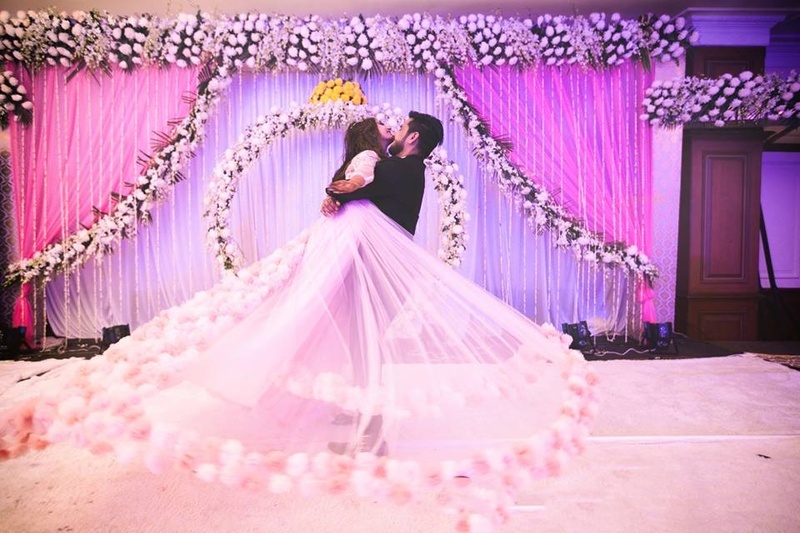 The love birds, who have been together for a decade, decided to tie the knot in a fairy tale themed wedding and we couldn't be more awestruck! 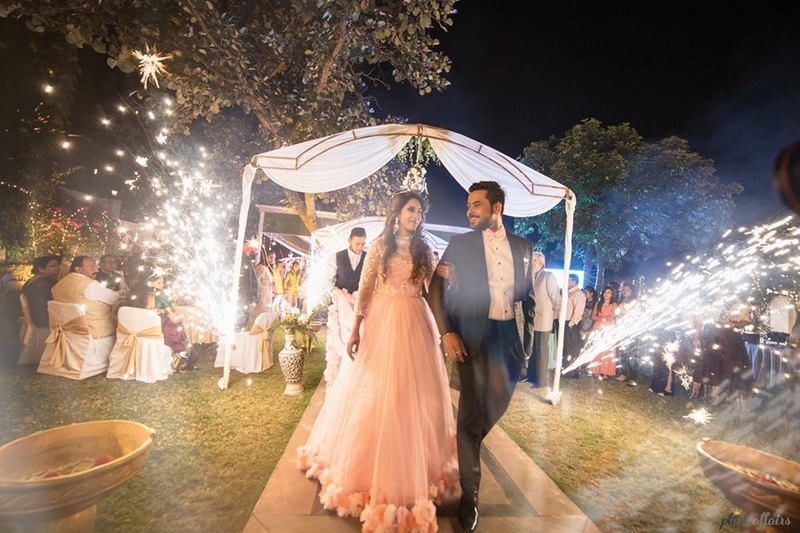 From the pre-wedding shoot to the reception, from the decor elements to the dresses - everything about this wedding was enchanting and left us starry eyed! 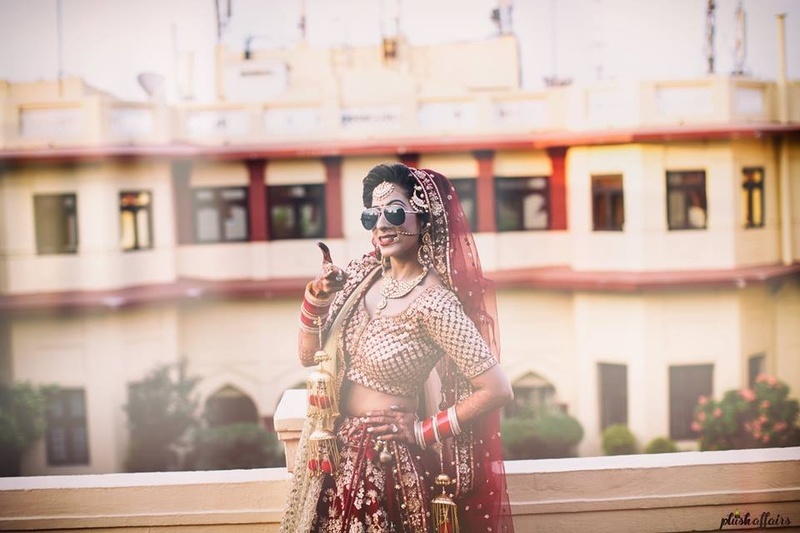 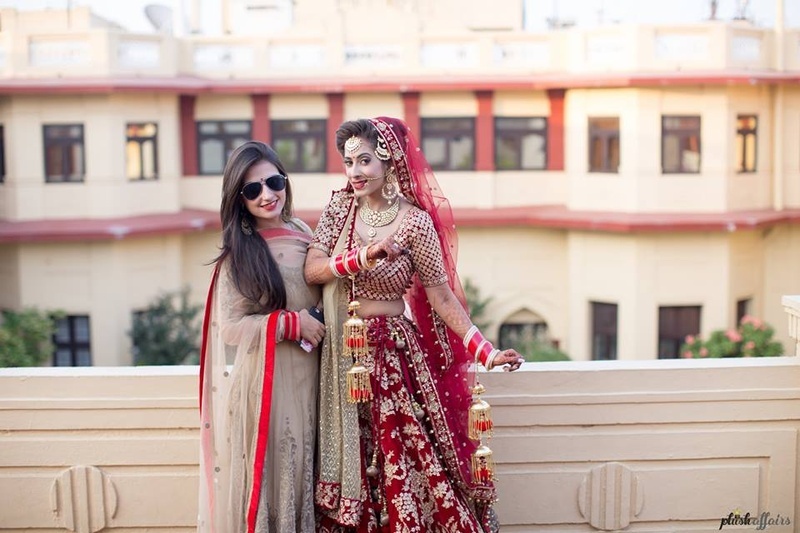 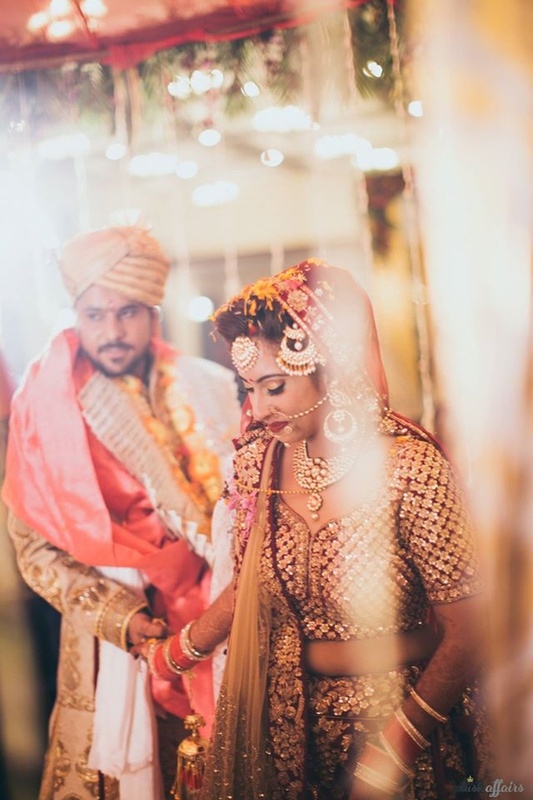 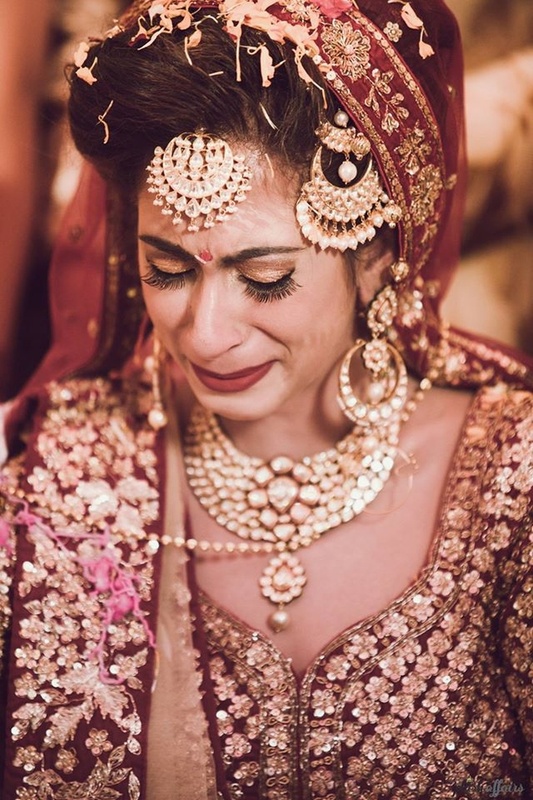 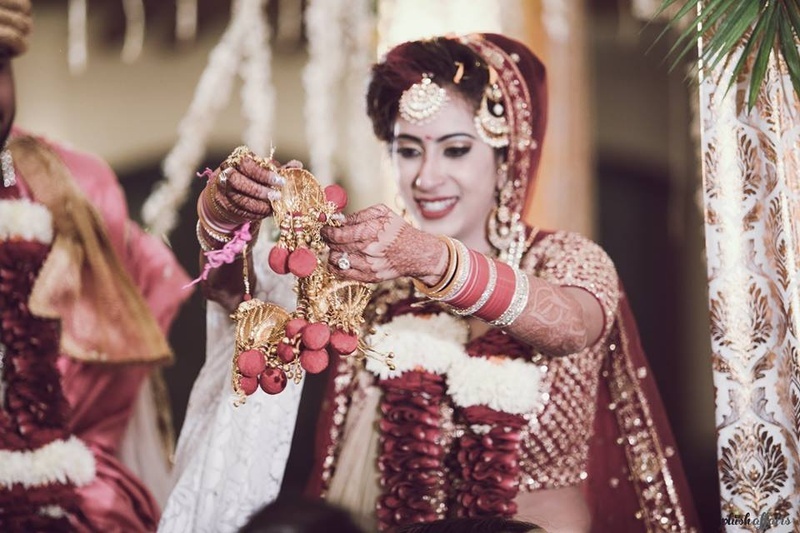 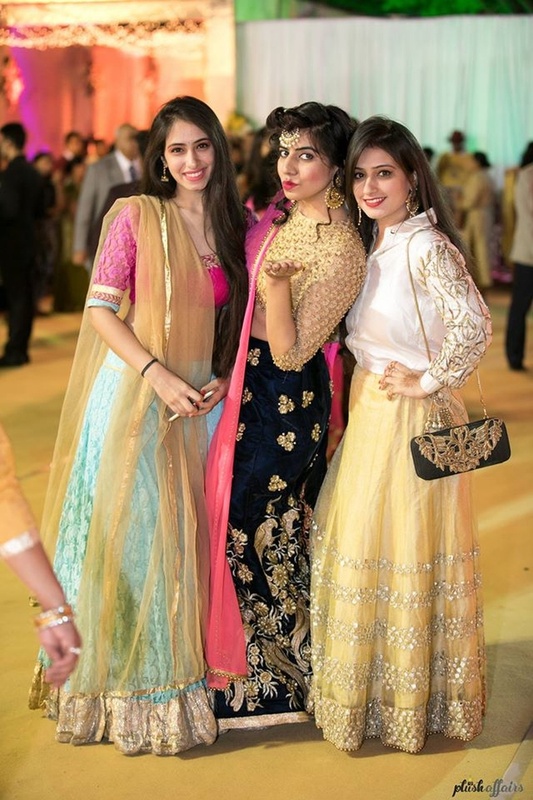 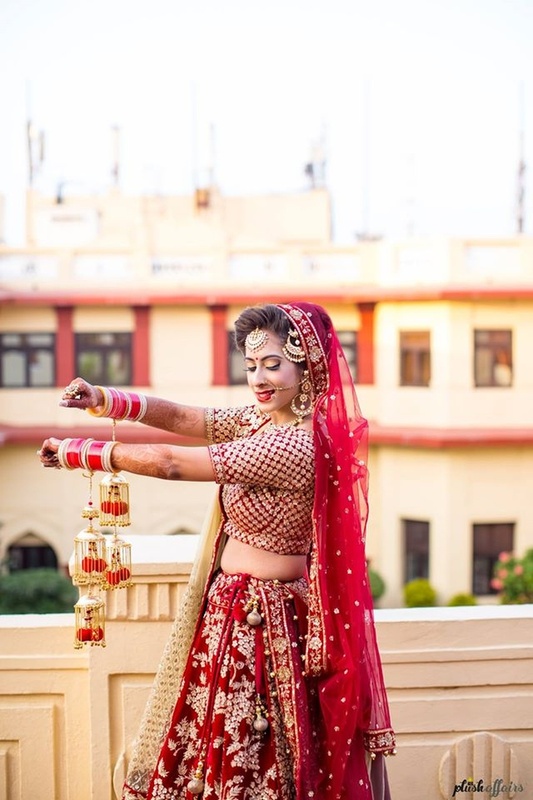 Apoorva wore a gown by Christina WU for her ring ceremony and stuck to the regal Sabyasachi for her wedding lehenga! 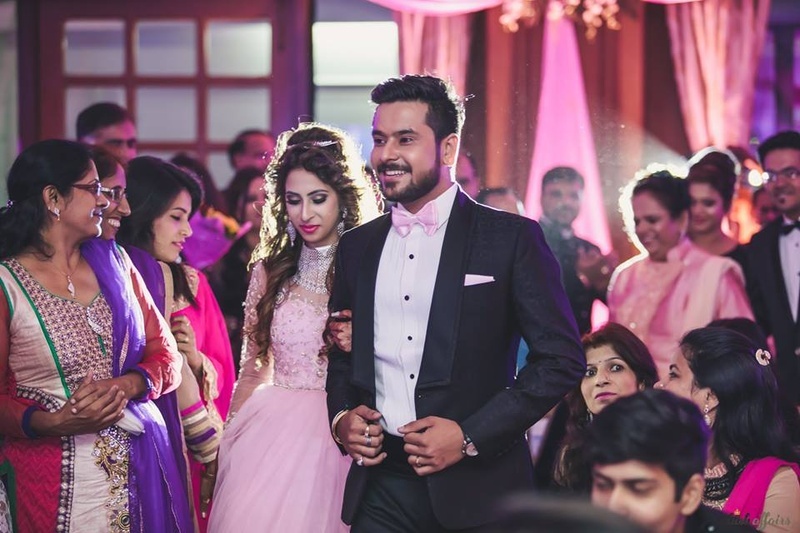 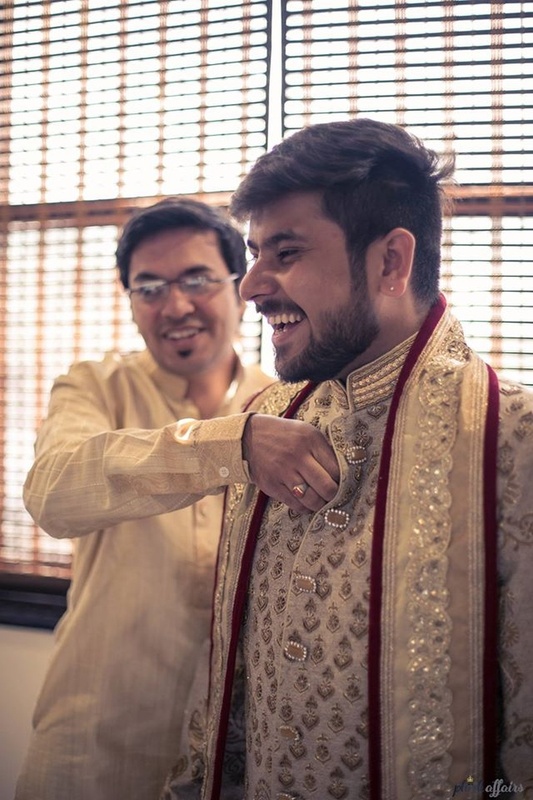 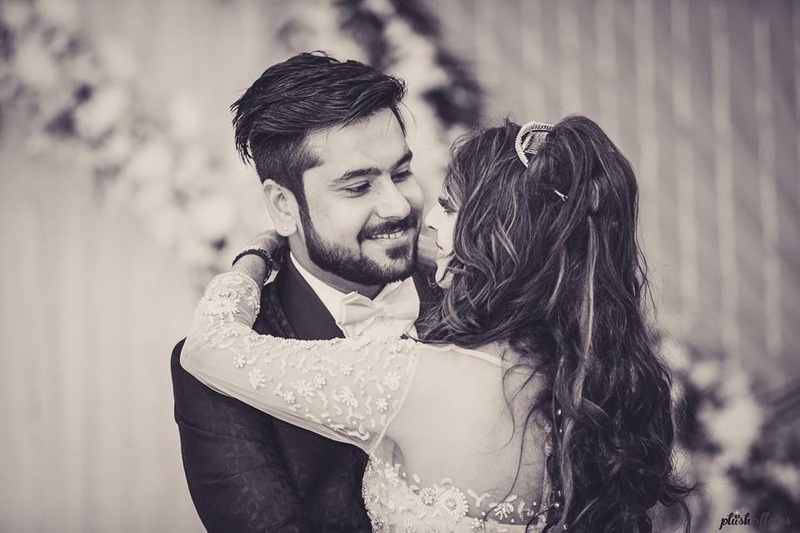 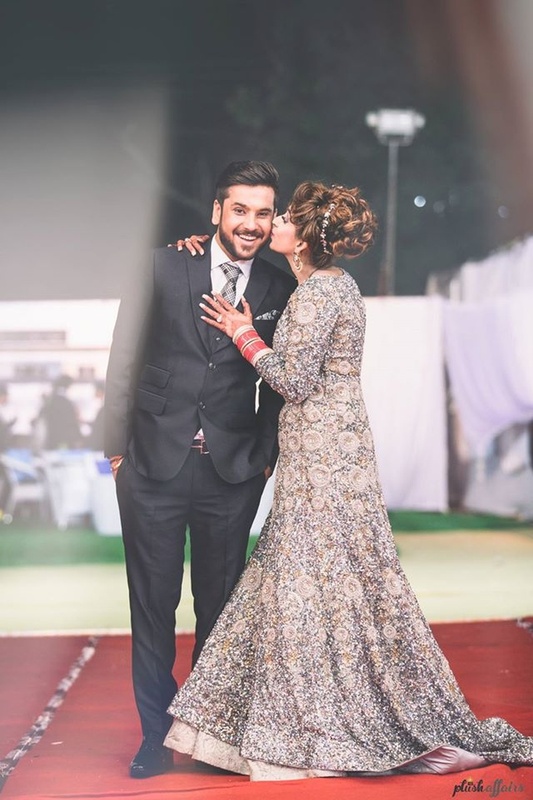 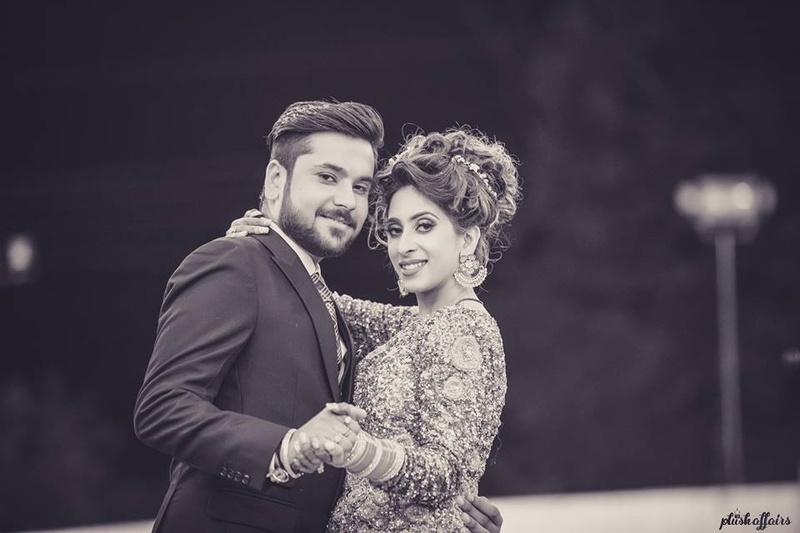 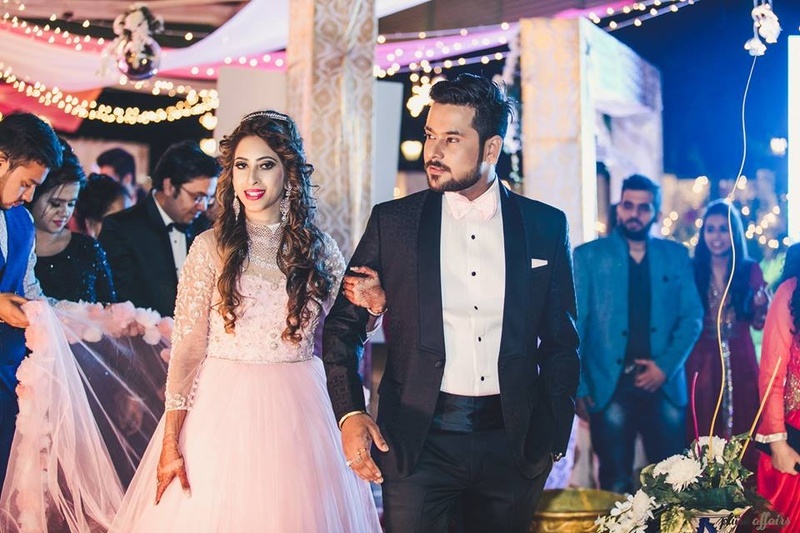 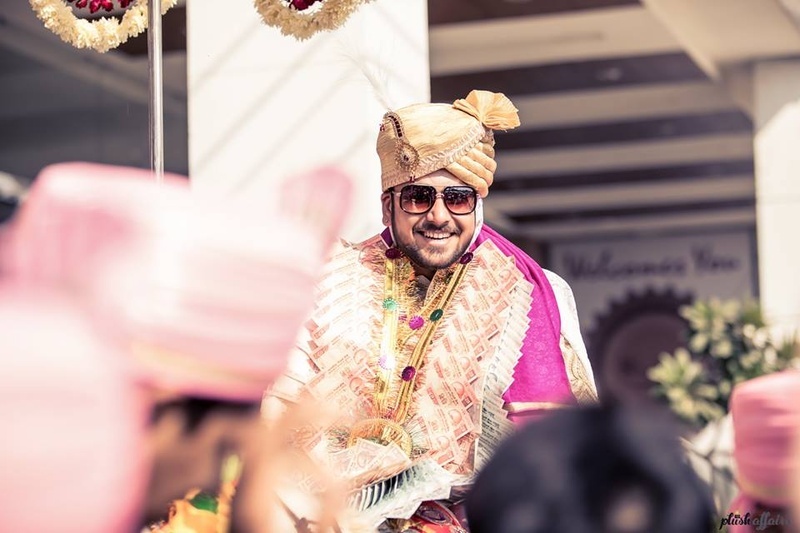 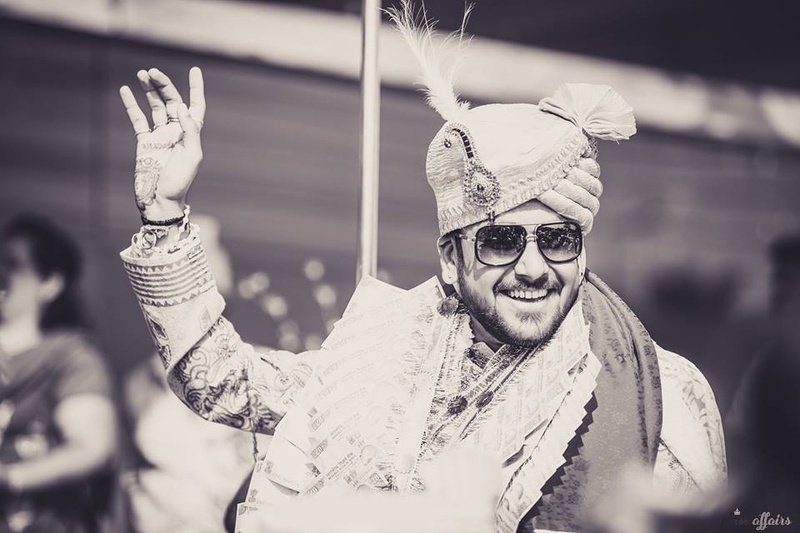 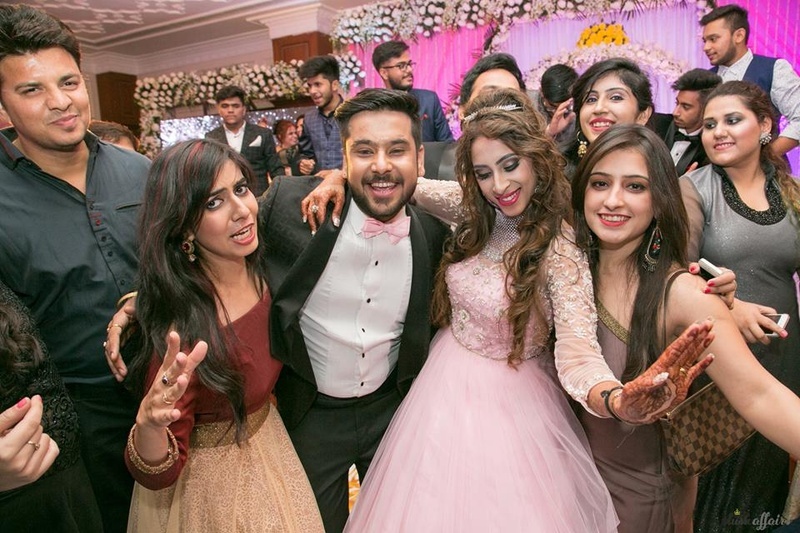 Amit looked every bit dapper in his sleek suits and complemented the beautiful bride! 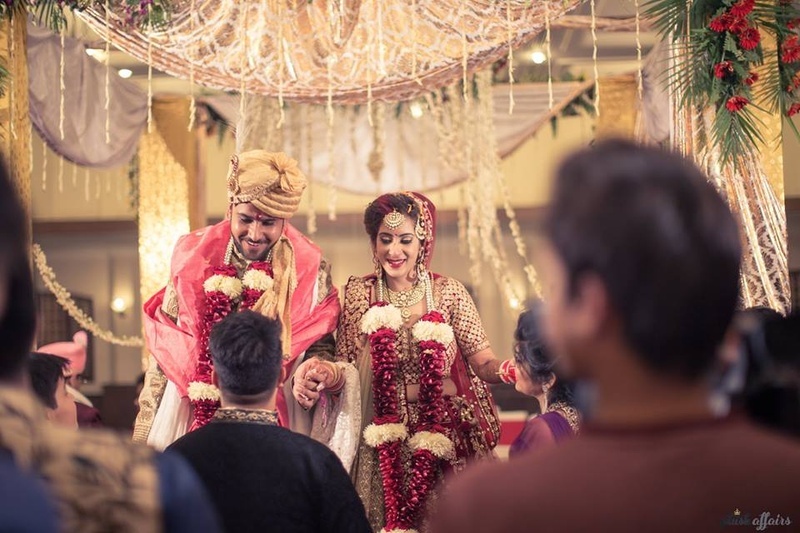 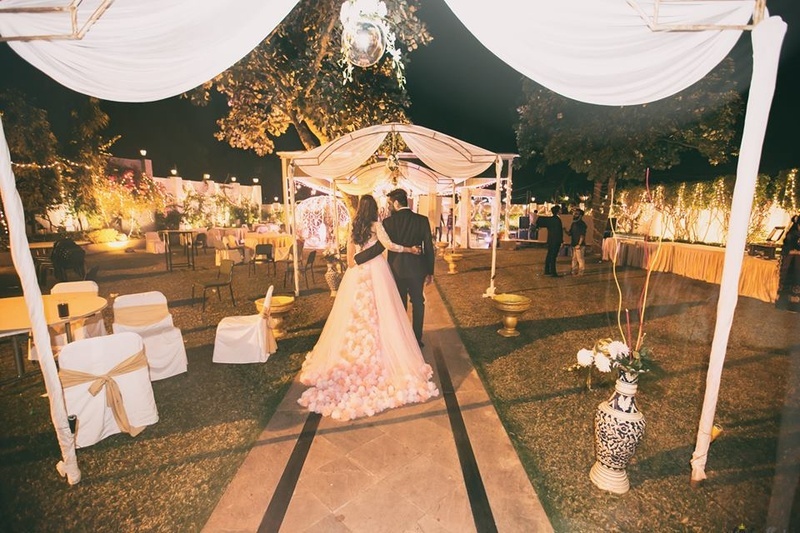 Feast your eyes on the magical wedding photos while we gush over their love! 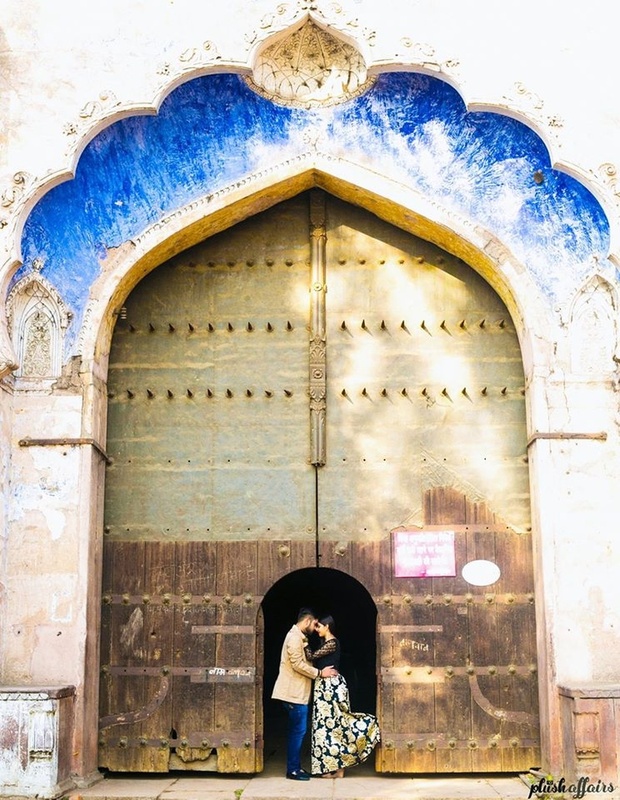 Captured brilliantly by Plush Affairs. 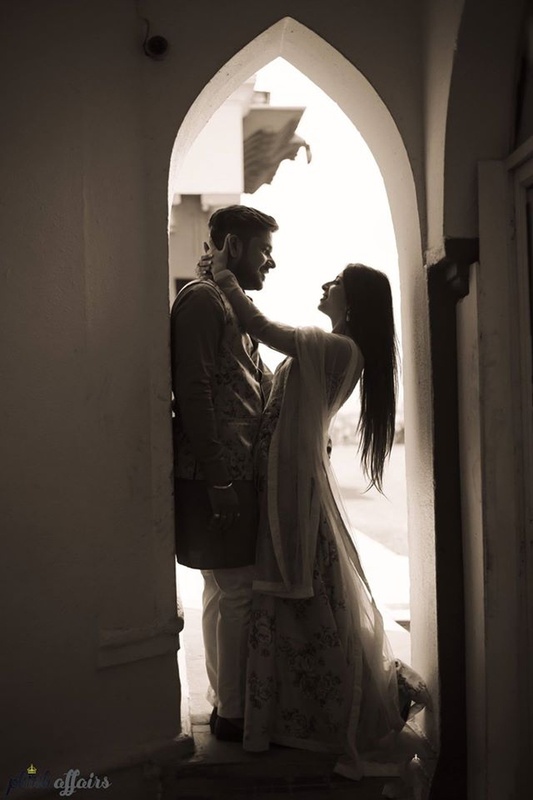 Couple pre wedding shoot held in Bhopal. 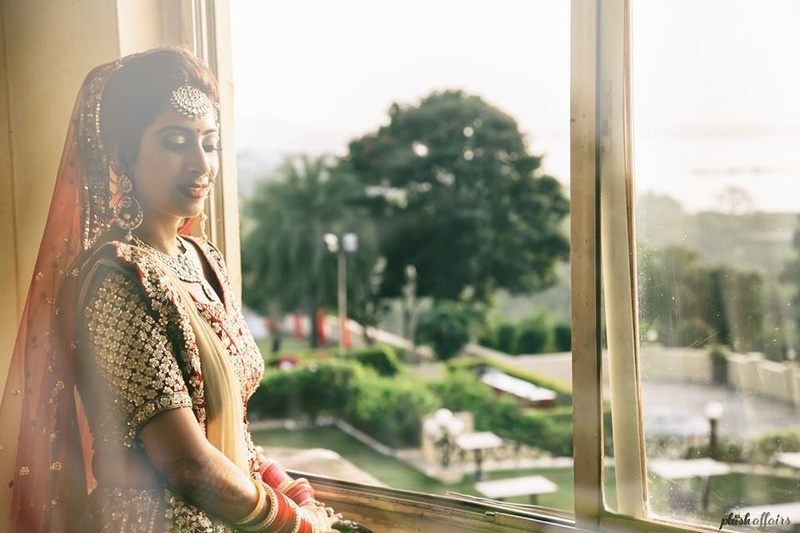 Apoorva dressed up in a floral umbrella skirt paired with black top and styled with a neckpiece for her pre wedding shoot. 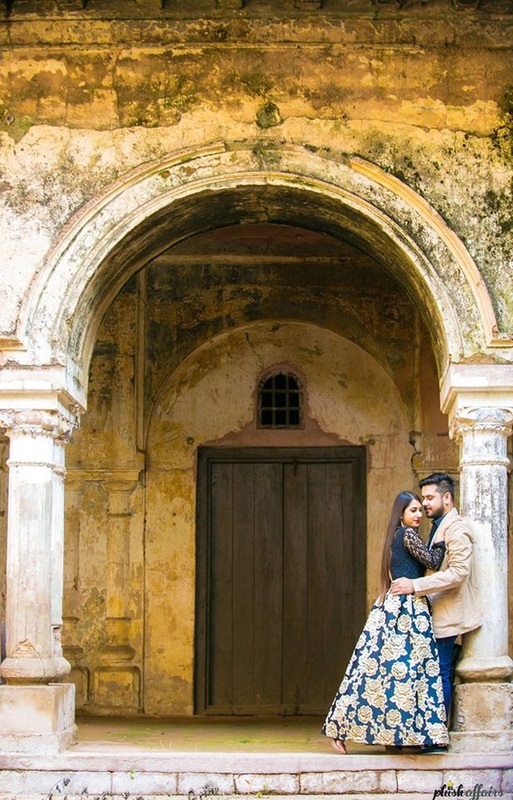 Pre wedding shoot held at old fort. 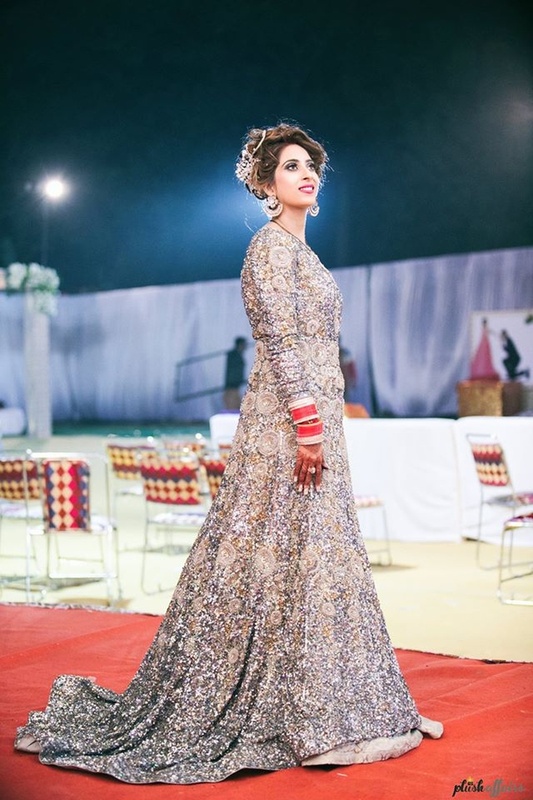 Wearing coordinated floral Indianwear for the pre wedding held in Bhopal. 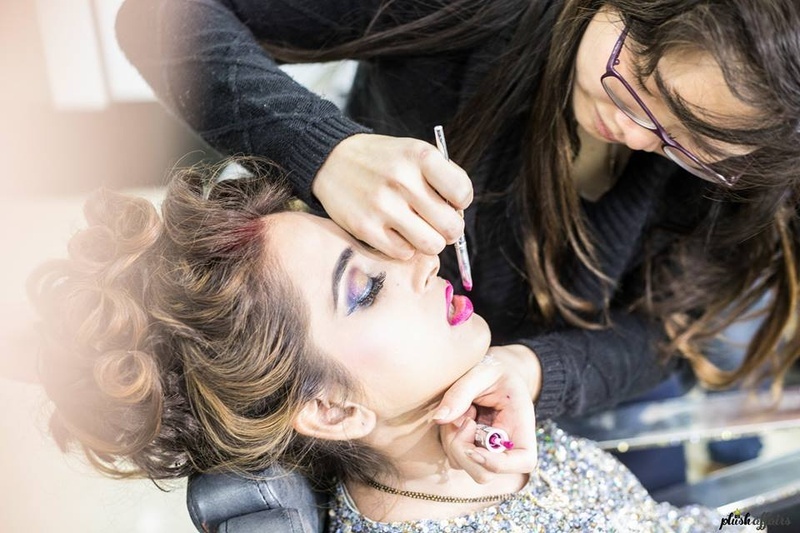 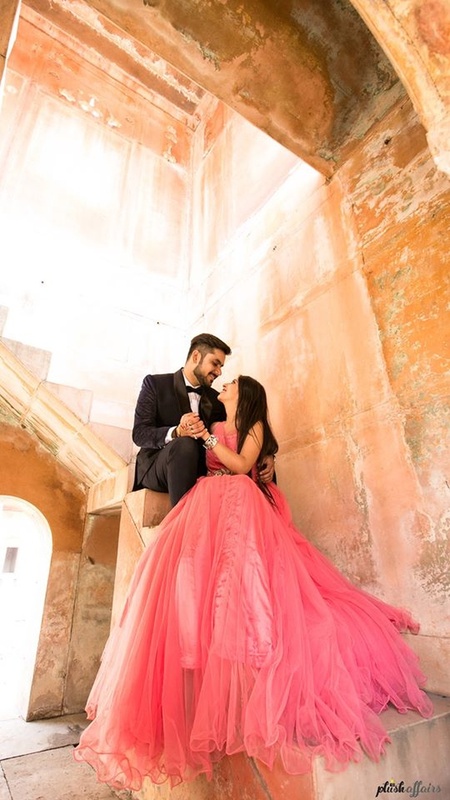 Apoorva dressed up in Pink gown and Amit in Black and white three piece suit for their pre wedding shoot. 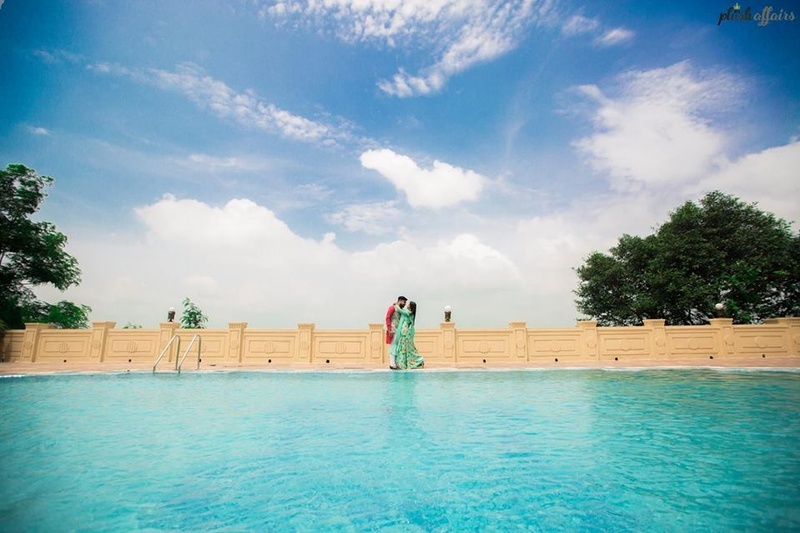 Fairytale like pre wedding shoot by Plush Affairs. 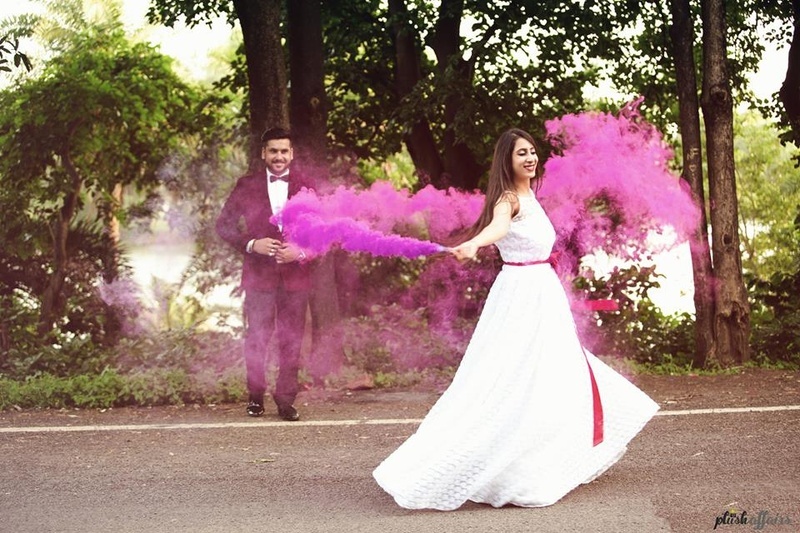 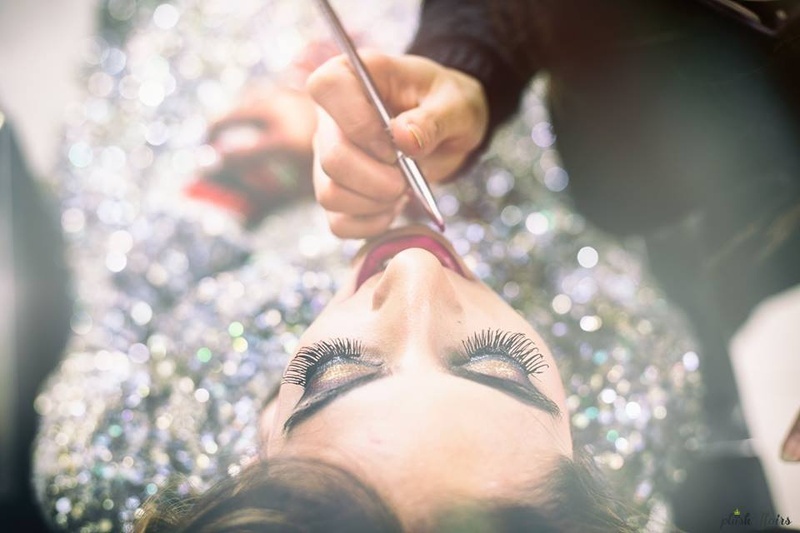 Take inspiration from this dreamy pre wedding shoot done by Plush Affairs. 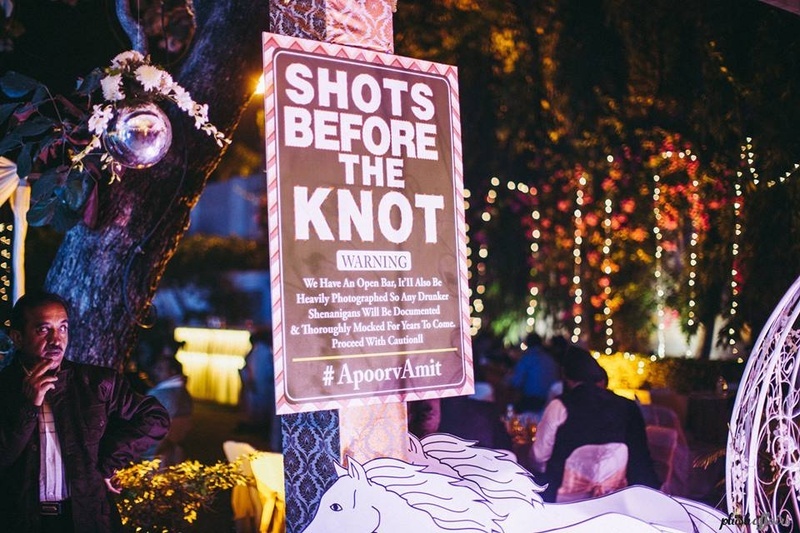 Quirky signage at Engagement and Sangeet ceremony. 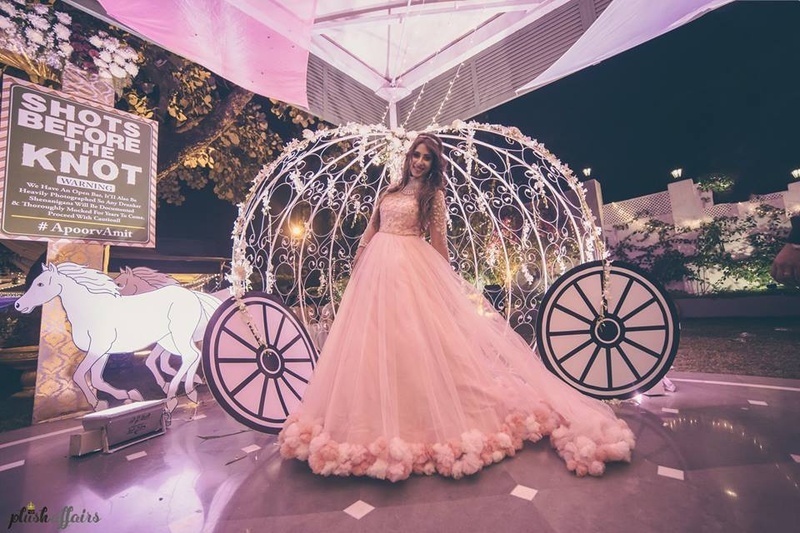 Dressed up in a baby pink wedding gown by Christina WU. 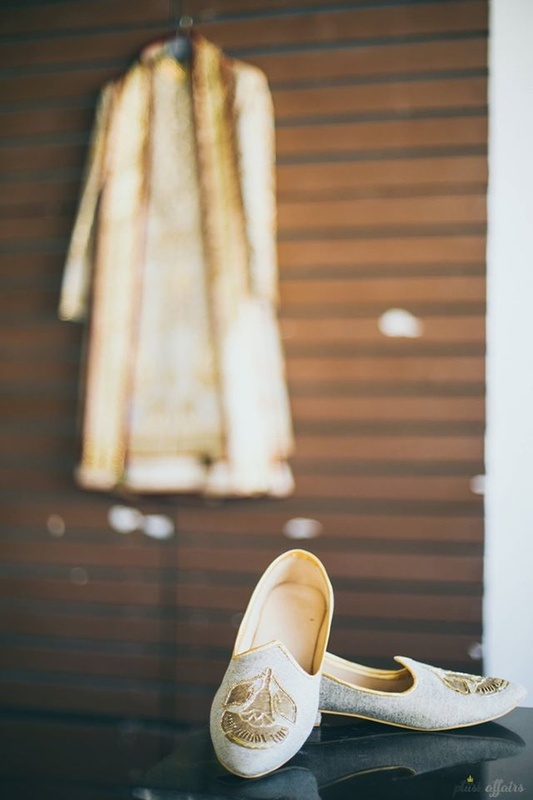 Yellow and white decor for the engagement ceremony. 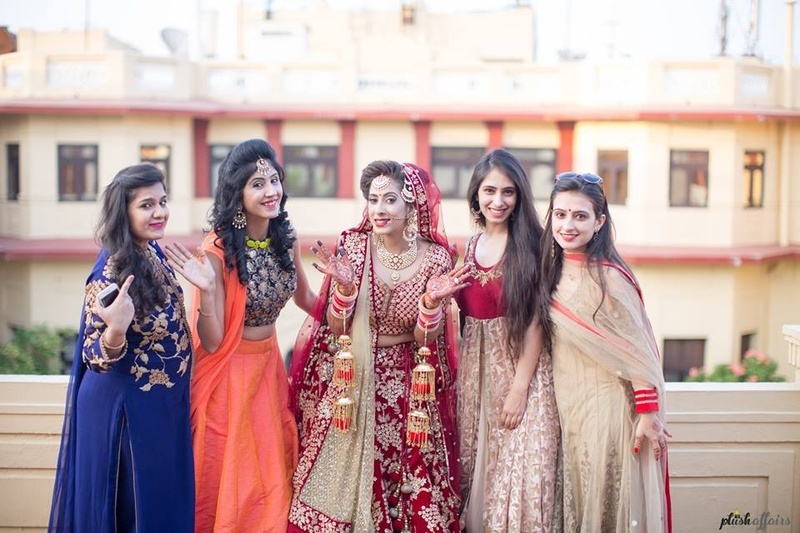 Dressed up in color coordinated wedding outfits! 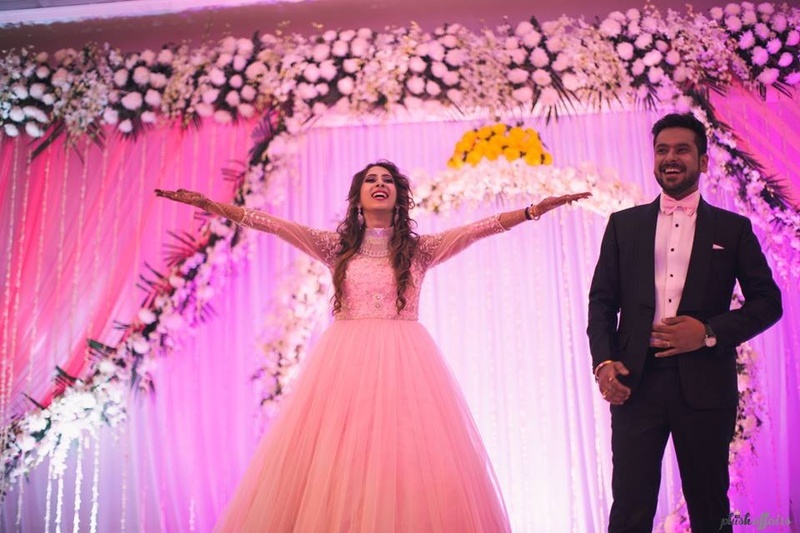 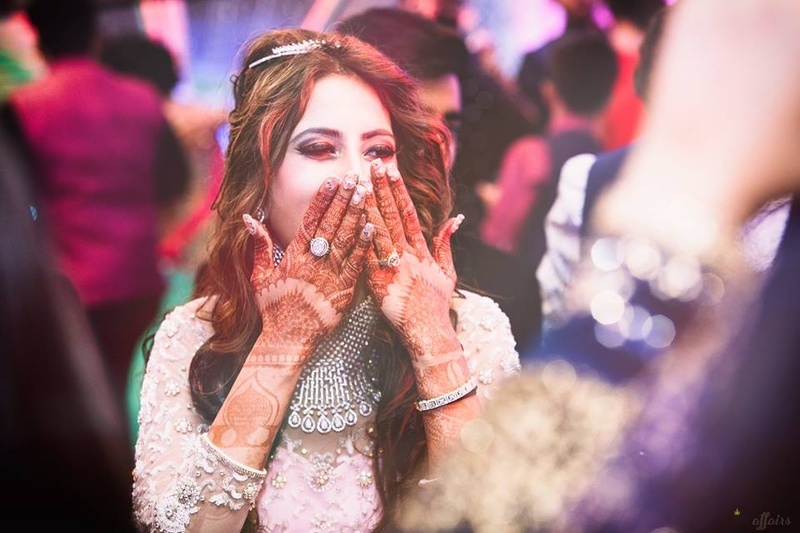 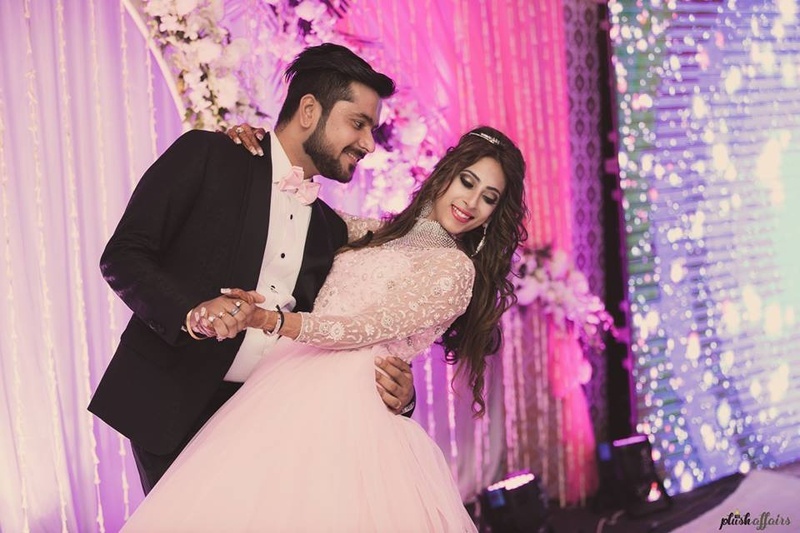 Adorned in a diamond choker neckpiece styled over the pretty pink gown for the engagement ceremony. 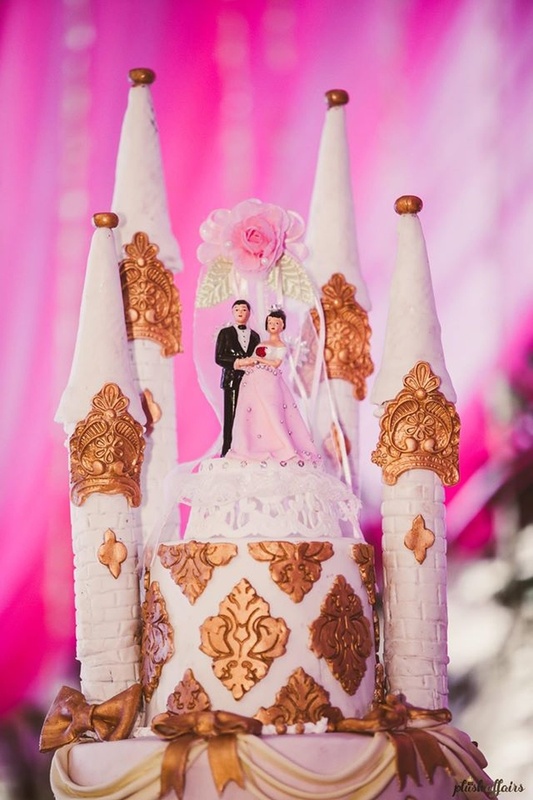 Dreamy Castle Wedding cake topped with bride and groom for the engagement ceremony. 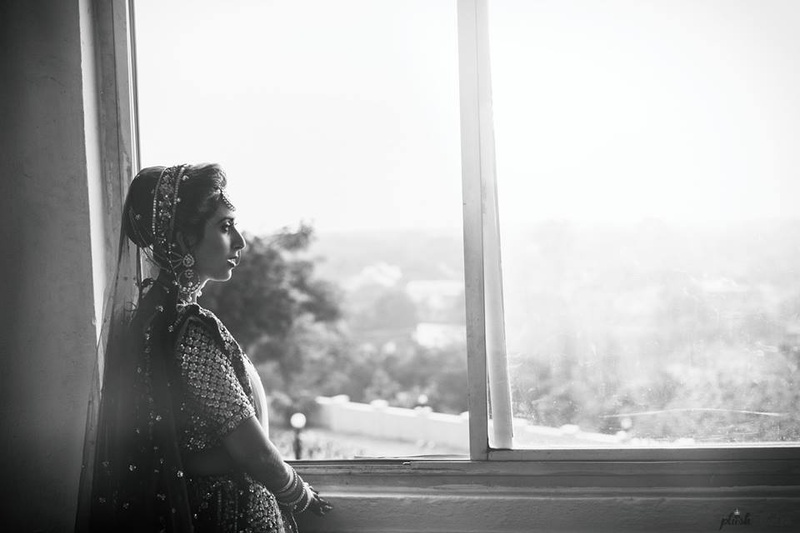 Black and white bridal portrait. 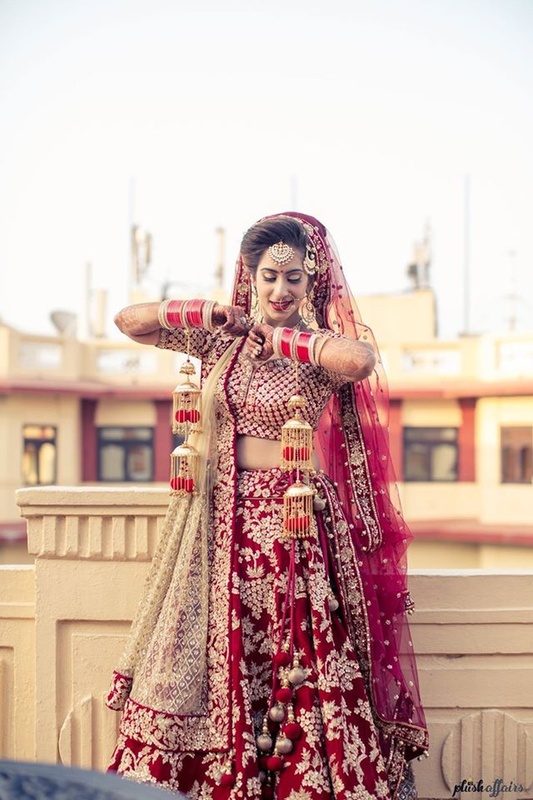 Dressed up in regal red and gold bridal lehenga by Sabyasachi styled with kundan jewellery and gold kaleere.